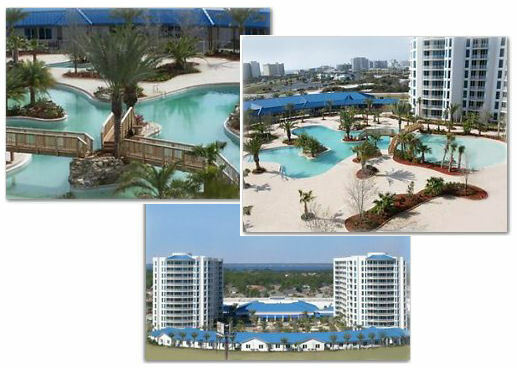 The Palms of Destin Resort and Conference Center is the newest addition to Destin. Expect all the "bells and whistles" of a resort destination. The 11,000 square foot lagoon pool with water falls and bridges highlight the 2 acre "oasis" between the two towers. The children's pool, with water fall and interactive splash fountain, will keep the kids busy for hours while adults soak up the sun and enjoy a refreshing tropical drink from the Trader Vic's on site. Or grab a cup of coffee from the Starbucks located within the resort, jump on the shuttle bus and take off for a day of fun at the Henderson Beach State Park a few minutes away. The playground and tennis courts are being completed and will offer additional activity for the family. The Club House offers on-site rental check-ins and is anchored by a large Conference Center with break out meeting spaces. The Club House also incorporates the spacious Fitness Center with the newest equipment while the Polynesian themed Spa offers a day of relaxation. Enjoy the convenience of Starbucks coffee in the morning and a tropical treat at the Trader Vic's restaurant in the lobby of the Club House. 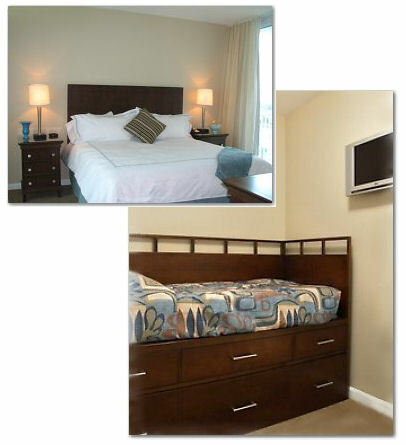 This condominium is completely furnished. Granite counters in kitchen and a large dining/living area open onto a terrace that offers unobstructed views over Henderson Beach State Park to the Gulf of Mexico. Sorry ...No Pets-No Exceptions. Must be 25 years old to rent unit.No Smoking in unit or on balconies-No Exceptions. Deposit will not be refunded. Kid Friendly. The Palms of Destin is the perfect place for you to call home! 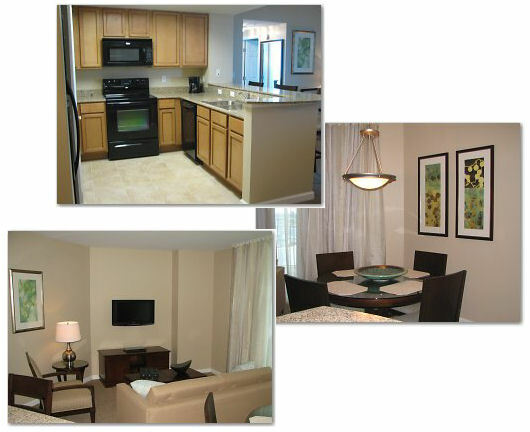 The unit is fully furnished and solely for long term (one month or greater) rental clients. Please contact us for a quote for this unit.